Meet our new friend, Mr. John Hoar, from Lake Elsinore California. John came to us with a Trustee Sale date on his Home of 11 years set for just a few days before Christmas on 12/20/2017. John paid several companies a lot of money for help with no luck. The stress of losing his house was now affecting his business. With no guarantees, we laid out a strategy to stop his trustee sale and re-structure his Home loan. 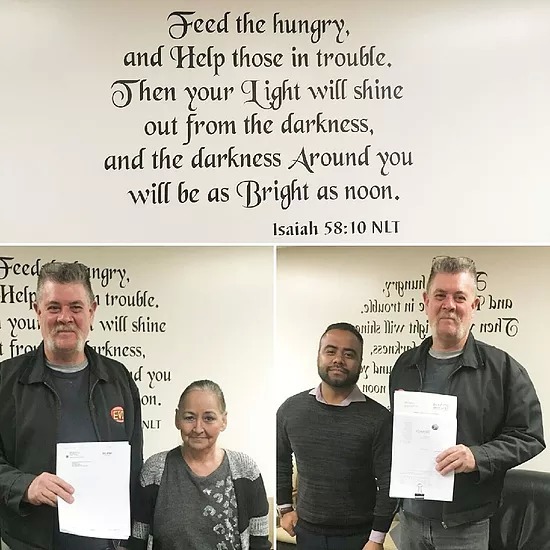 John asked “How much will all this cost me?” We informed him our expert Loan Modification services will cost you 4 bags of canned goods for the Homeless. BUT if we are successful then you need to make a 1 months new payment donation to Veterans First to help feed and house Homeless Veterans. He agreed to the payment arrangement! 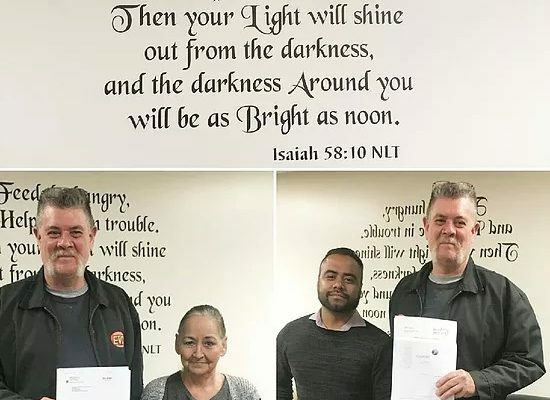 On 1/10/2018 John signed 2 loan agreements, the first a new Loan Modification Agreement (Picture on Left) with his bank lowering his $4,300.00 payment down to low fixed $2,939.00 Principal and Interest payment and he gets to keep his home. $3,000.00 to Veterans First. Thank you John for letting us be of service to you and those less fortunate than us.